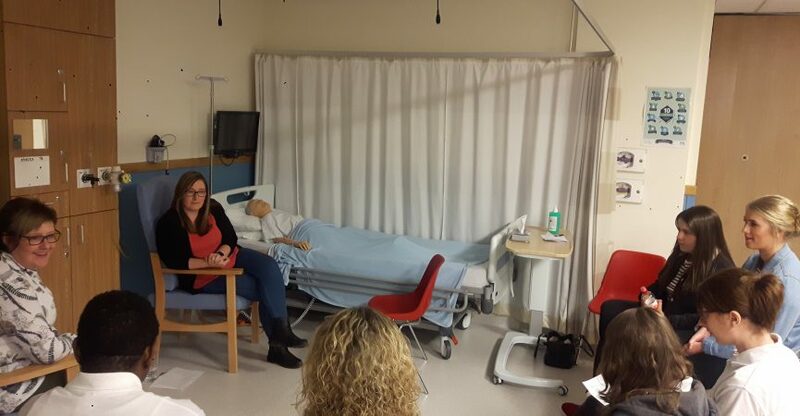 While most school pupils are off for their Spring Holidays Claire from the team was lucky enough to be able to spend the afternoon with Hannah and Katie from Grove Academy who joined 3rd year University of Dundee Mental Health Nursing Students at the Clinical Skills Academy, Ninewells Hospital. The afternoon focused on Courageous Conversations and looked at the challenging themes of Dystonic Reactions, Suicide Ideation, The Power of Apology and The End of Life. As we rotated around the 4 workshops we observed how the 3rd year nursing students dealt with the scenarios and we were given the chance to contribute ourselves. We learned that having excellent communication skills were key to delivering difficult information and that nonverbal communication, the words you chose as well as how you delivered those words were extremely important. Taking ownership, having empathy, giving reassurance, being kind and above all being honest are key to making a real difference to patience and relatives. And that being a good nurse is more than having good technical skills and is always about compassion. Hannah and Katie told me that the afternoon had been very worthwhile and that it was really good to have an insight in the kind of things that are involved in the course. 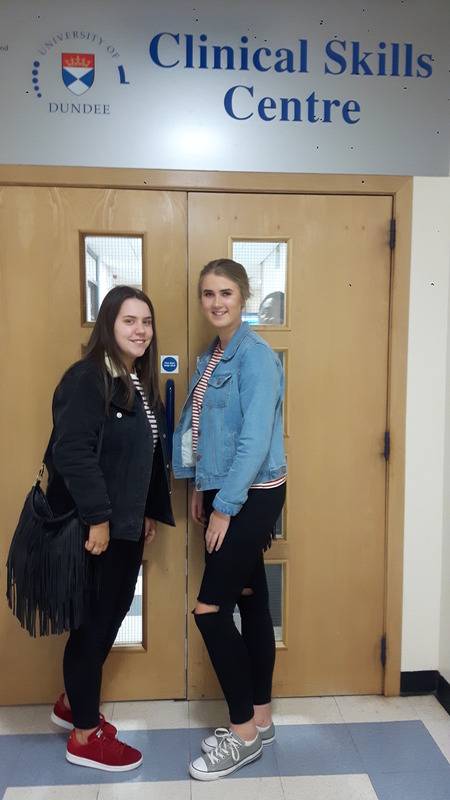 Both girls also thought that the sessions were very thought provoking and were very impressed with how the student nurses handled these very sensitive topics.